In an age of weak leadership, perhaps it shouldn’t be seen as a surprise that the UK seems a little bit obsessed with Winston Churchill at the moment. Whether it be the scary future of Brexit or just the nostalgic wallowing in a glorious past, or a bit of both – this monumental and heroic character’s history is being rewritten and reinterpreted again and again. At the weekend I enjoyed seeing the latest effort – ‘The Darkest Hour‘ – the Oscar-nominated work of Joe Wright (Atonement). I don’t think I watched a film that has so little action and is so dialogue-driven, yet also so absorbing. Obviously, the stakes are high, its 1940 and Britain is alone in standing up to Hitler. Churchill has just been elected leader and it is his toughest year – everything looks lost, a German invasion imminent and monumental pressure is put on him to enter some negotiations with Herr Hitler. The film is cleverly ambiguous, Halifax & Chamberlain are given a fair showing in the film and peace talks seem very reasonable. To qualify as a ‘just-war’ it needs to be a war of last-resort and Thomists and just-war theorists may quibble about who was right, but I think the wonderful line of Churchill, ‘ You cannot reason with a tiger when your head is in its mouth‘ wins the day. For me its a great study in leadership – Churchill standing at the dispatch box, with his Tory peers sitting in silence behind him, seething in passive aggression. In their eyes his failure in the Dardanelles in the First World War and his flip-flopping to the Liberals is unforgivable. When leaders are ‘stress tested’ like this, its make or break time. Its at times like this when a leader finds out who has ‘got their back’. The two outstanding supports for Churchill, as portrayed by the film, are his wife Clement and King George VI. A turning point is when the King, suspicious of Churchill at first, eventually says to him that he has his unequivocal support as he was the only man who when elected as leader struck fear in the heart of Hitler. observer status). There are two more offices in Europe, in Geneva, Vienna and most recently one has opened up in Nairobi in 1996. Many have argued that it was long overdue to give the UN a sure footing in the continent of Africa, where its original and overriding purpose is to promote peaceis often under threat. Its environment programme (UN and habitat programme (are headquartered in Naorobi, but many of its other programmes / funds / commisions also have offices there. Many feel the UN is in crisis – some world argue, given its impossible remit, a state of permanent crisis, its faces the challenge to be semper reforandum – always reforming. The core dream and vision of the UN is worth fighting for. Riddled with politics, often rendering it ineffective ( Russia & China’s unscrupulous use of the veto in the security council for example) … it is still the only supranational political body that can be called on in a crisis, and often the only one with the clout to get warring parties around the table. The extraordinary meeting of the Security council in Narobi bringing together the Sudanese on November 2004 is a recent example. Currently the UN has a succession crisis as they look for a new secretary general. The recent leadership of the South Koran, Ban Ki Moon has been disappointing, seen as being too protocol bound, lacking the dyanimism and diplomatic genius of his predecessor Kofi Annan. So there is a sense of urgency to select a leader, in what appears to be the most transparent process yet. The PC option is to have a women from Eastern Europe, with two Bulgarian canditates spoken of. But one of the things that has discredited the UN so often is being sucked into the quagmire of ideology and development politics, part of the reform must be shedding the Political Correctness for a more meritocratic way of operating. The farcical appearance of the Vatican before the Comittee for the Rights of the Child (CRC) was widely criticised for being an axe-grinding exercise, not sticking to its remit. It seemed to have written the report before hearing an evidence, and like the end of the film Spotlight it conflated what had happened 20 years ago with the present, with no acknowledgement of the serious distance the church has gone in protecting children – for excellent analysis of this read here. All of the good and bad of the UN are visible in its office at Nairobi, we need to engage creatively with it, accepting and building on the good and recognising and letting go of the bad, if we want to make the world a better place. 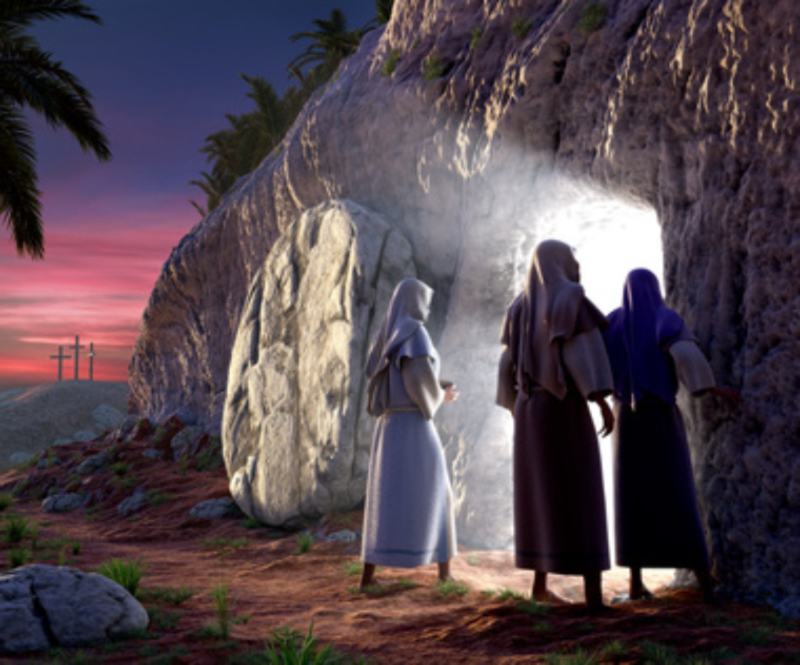 Our belief in the resurrection and in eternal life allows us to hope even in the face of terrible killing and slaughter on a massive scale. Today we remember those who have died in the terrible wars of the twentieth century – In this country it is called Remembrance Sunday. It is today because of the end of World War One – On the eleventh hour, of the eleventh day, of the eleventh month. 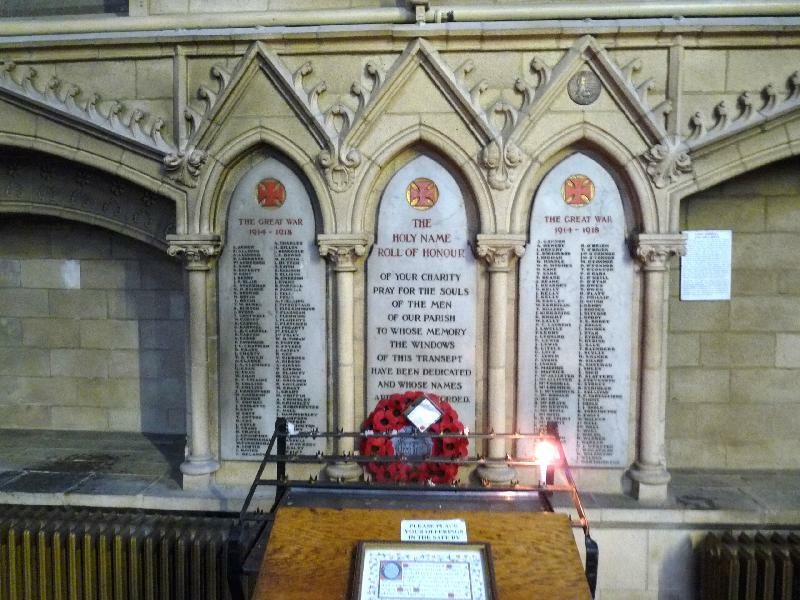 Here in the Holy Name in Manchester we have a war memorial with 226 names on it, 226 young men, sitting in these pews who were killed. Today we remember them especially. I will ask someone you all know, Michael Keneely to come and lay flowers by their names. You may not know Michael by name – but you will recognise his face. Michael is the old man that welcomes you at the back of church when you come to mass. He was a marine in the Second World War and took part in the D-Day Landings on Sword Beach in Normandy. It was the D-Day landings that led to the liberation of Europe. Michael’s brother was later killed in Palestine. Let’s give him a round of applause as he brings the flowers forward.